Everone loves a little snail mail once in a while. 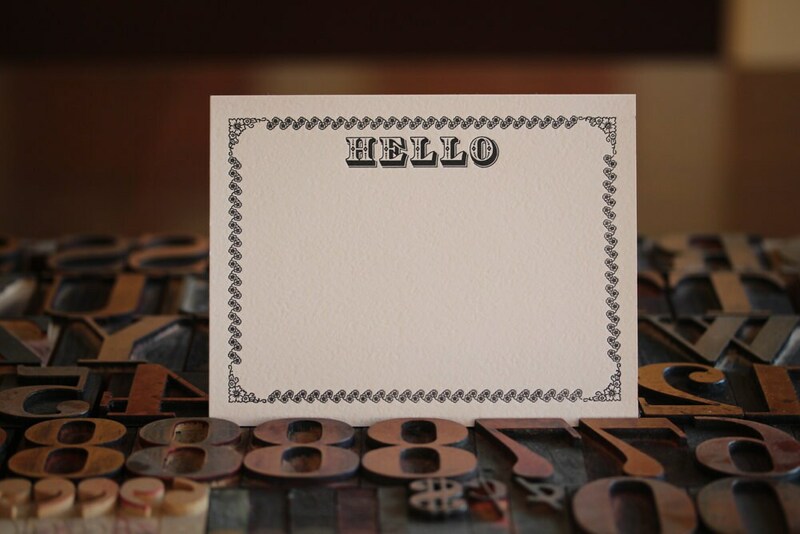 Make it special with this letterpress notecard created by setting metal type and ornaments. Designed and printed by Red Flower Letterpress on an antique Vandercook printing press using metal type and black ink on thick blush colored paper. These are single sided cards with no fold. Complete with antique white envelope. Paper: Crane Lettra- Pearl White 110 lb.